Does your child want to play ice hockey? North Central Mass Youth Hockey has an affordable local ice hockey program for boys and girls ages 9 to 14. 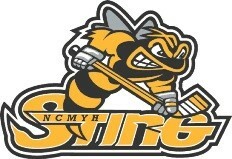 NCMYH House Hockey is a great way to get into hockey for the first time or for players who cannot commit to the time and travel of youth hockey travel programs. The House Hockey program runs 15 weeks-November through February. Youth ages 9 to 14 (2009 – 2004 Birth Year) are eligible. Full ice hockey equipment is required.